Fancy color diamonds come in almost any color you can imagine. Red, green, purple, and orange are generally the most rare, followed by pink and blue. Yellows and browns are the most common fancy colors, but they’re generally less valuable than the rarer colors. Blacks, grays, and fancy whites are considered fancies, too. Some have been fashioned into gems. The 67.50-carat black Orloff diamond, named after the russian princess nadia vyegin-orloff, is the most well-known example. The color Intensity range from Faint, Very Light, Light, Fancy Light, Fancy, Fancy Intense, Fancy Vivid, Fancy Deep, Fancy Dark. Fancy green diamonds are typically light in tone and low in saturation. Their color often appears muted, with a grayish or brownish cast. The hue is generally in the yellowish green category. In most green diamonds, the hue is confined to the surface, and rarelyextends through the entire stone. That’s why cutters try to leave as much of the natural rough around the girdle as possible. Green diamonds get their color when radiation displaces carbon atoms from their normal positions in the crystal structure. This can happen naturally when diamond deposits lie near radioactive rocks, or artificially as a result of treatment by irradiation. Naturally colored green diamonds are extremely rare. Because of their rarity and the very real possibility of treatment, green diamonds are always regarded with suspicion and examined carefully in gemological laboratories. Even so, advanced gemological testing can’t always determine color origin in green diamonds. Brown is the most common fancy diamond color and also the earliest to be used in jewelry. Second-century Romans set brown diamonds in rings. In modern times, however, they took some time to become popular. Brown diamonds were typically considered good only for industrial use until the 1980s, when abundant quantities of them began to appear in the production of the Argyle mines. The Australians fashioned them and set them in jewelry. They gave them names like “cognac” and “champagne.” The marketing worked, and brown diamonds are found in many medium-priced jewelry designs today. Brown diamonds range in tone from very light to very dark. Consumers generally prefer brown diamonds in medium to dark tones with a warm, golden to reddish appearance. They generally show a hint of greenish, yellowish, orangey, or reddish modifying colors. 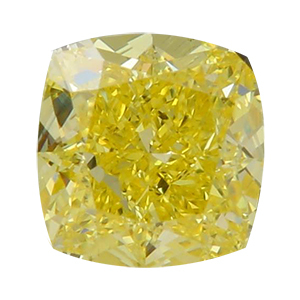 Yellow is diamond’s second most common fancy color. 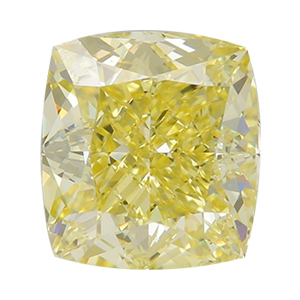 Yellow diamonds are sometimes marketed as “canary.” While this isn’t a proper grading term, it’s commonly used in the trade to describe fancy yellow diamonds. Until the late 1990s, there was not much demand for black diamonds. But designers started using them in jewelry, especially contrasted with tiny colorless diamonds in pave settings, and they began to gain in popularity. Fancy white diamonds also exist. They have a milky white color. Sometimes white diamonds are cut to display beautiful opalescent flashes of color. There are also gray diamonds. Most of them contain a high level of hydrogen as an impurity element, which probably causes their color. With fancy color diamonds, color is the dominant value factor. 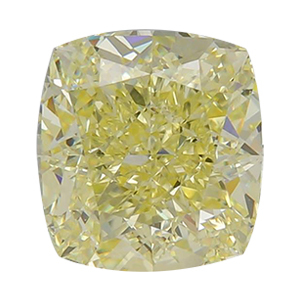 Even diamonds with numerous inclusions that result in a low clarity grade are prized by connoisseurs if they display attractive face-up color. Of course, inclusions that threaten the gem’s durability can lower a fancy color diamond’s value significantly. 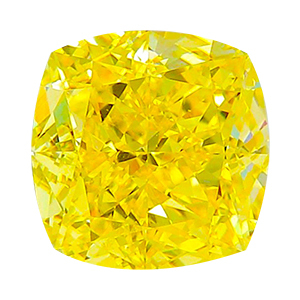 Fancy color diamonds can exhibit color graining, which is considered an inclusion. The GIA, IGI, HRD and china based NGTC Colored Diamond Grading Report provides a full quality assessment of a colored diamond including the color grade and color origin (natural or treated), carat weight, and clarity along with a plotted diagram of its clarity characteristics. As an optional service of GIA, a full color image of the diamond may also be included. The most preferred certificate world widefor natural fancy color diamonds is GIA.